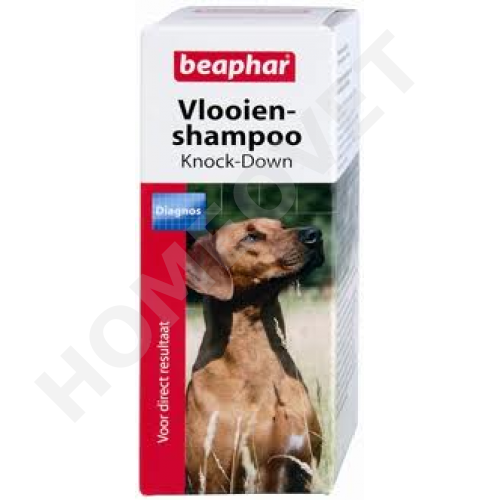 Beaphar Insecticidal Flea Shampoo for dogs, kills fleas while cleaning and conditioning the coat. Suitable for dogs (not suitable for cats) from 12 weeks of age. This shampoo dog acts for max. one week, so it's only suitable for the control of the existing fleas infection. If necessary you can repeat the treatment after a week.